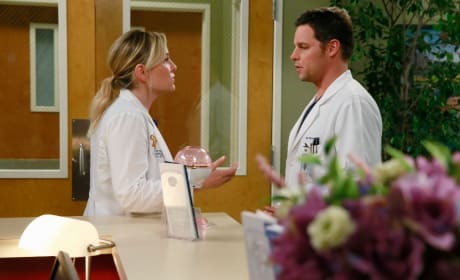 Arizona and Alex talk about a case on "One Flight Down." 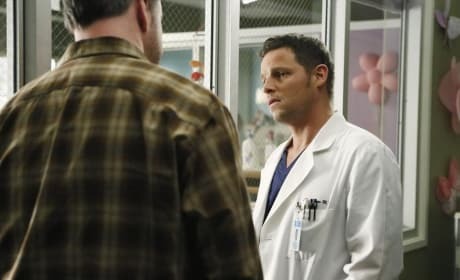 Good ol' Alex Karev. Many have come and gone on Grey's Anatomy, but this doctor remains. 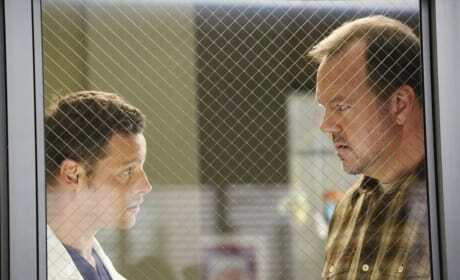 Alex speaks to the relative of a patient in this scene from the Grey's Anatomy episode "All I Could Do Was Cry." 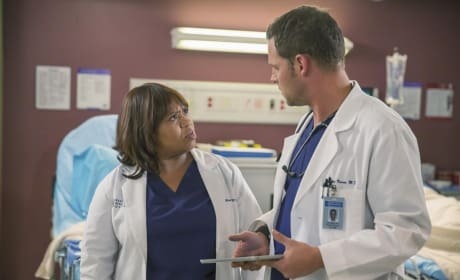 We're not sure what kind of face Karev is making in this photo. But it's making us laugh! Don't worry, young man. 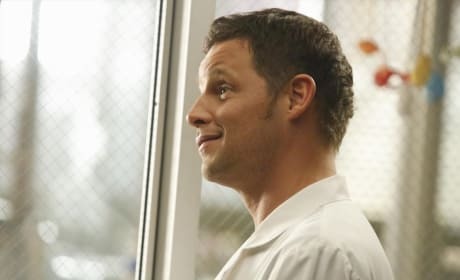 You are in very capable (and handsome) hands with Alex Karev as your doctor. We've seen this look many times over the years, haven't we? Miranda appears to have had it with Alex. Jo and Alex have a lot to discuss personally. But here's a look at the two doing their professional best. 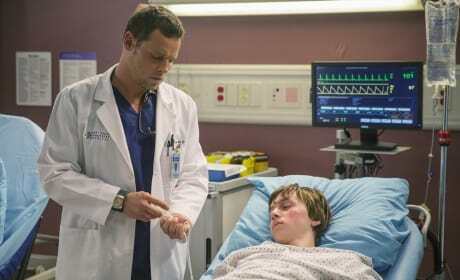 Karev does a patient work up in this photo from the Grey's Anatomy winter premiere. It is titled "Where Do We Go From Here." 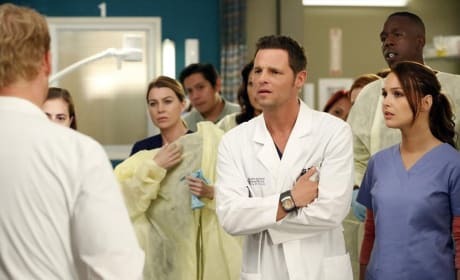 Alex looks on in consternation in this Grey's Anatomy scene. It is from the 2015 premiere, "Where Do We Go From Here." Is it just us or is Alex starting to look a little queasy. Will he be the first doctor to fall due to the flu? We'll have to find out on Grey's Anatomy Season 10 Episode 18. 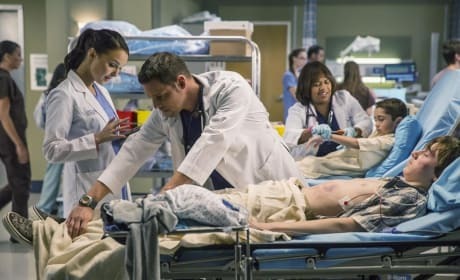 Alex is having a tough time of it on Grey's Anatomy Season 10. This is a photo from "Throwing It All Away." Alex and Jo aren't exactly getting along these days. 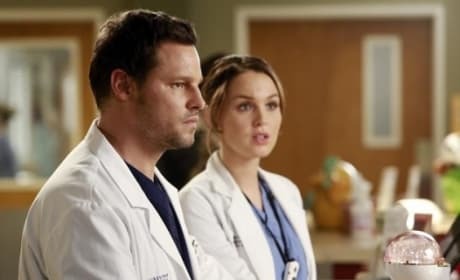 They argue here in another Grey's Anatomy Season 10 scene.